Paul Ecke Central School celebrates the opening of its garden and new produce shed with the start of school Aug. 20, the Encinitas Unified School District announced. The garden is designed to be a hands-on learning experience for the elementary school’s students, who will learn to grow food through projects during the school year. 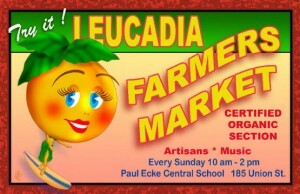 At the start of the school day Aug. 20, guest chefs the Leucadia Farmers Market will serve up “Veggie Cakes” with squash and zucchini from the garden grown by the students. Students will get a chance to see new artwork created by Bob Hord and the 101 Artists’ Colony. Paul Ecke Central’s “School as a Garden” program was given a grant from the city of Encinitas and the Mizel Family Foundation to work on the garden shed and teach the students on how to sell what they grow at the local farmers market, according to the district announcement.